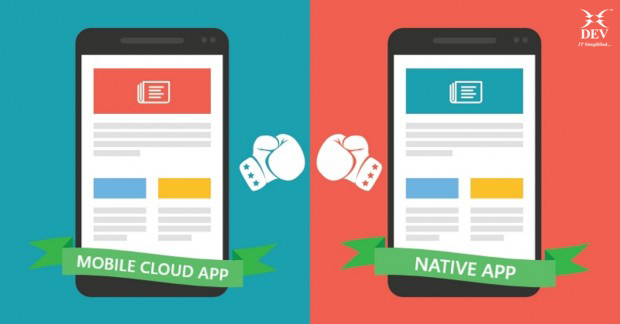 Mobile Cloud App Vs Native App – Know the Difference! Today, smartphones, tablets, and other mobile devices have become the preferred devices for personal computing, information gathering, and entertainment. We see millions of applications have been created and introduced to the world. There has been a constant debate about which mobile apps are better – mobile cloud applications or native apps. 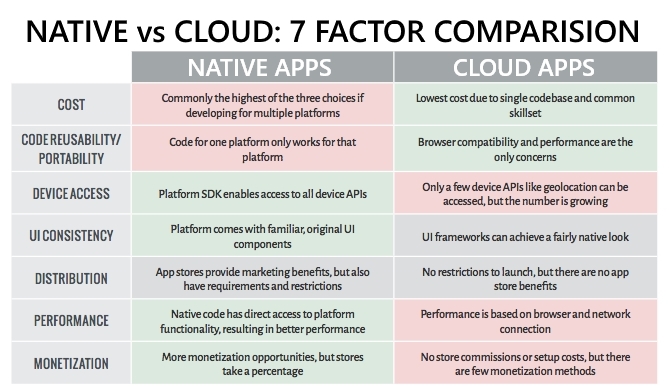 In this article, let us look at the differences between native apps and mobile cloud apps. A native app is built for a particular device and its operating system. The data that is linked to the native app is also stored on the device, but it can also be stored remotely and accessed by the native mobile app. The native apps are device-specific hardware and software so they can take advantage of the latest technology available on the mobile devices like GPS and Camera. What is Mobile Cloud App? Mobile cloud apps are very similar to the web-based applications. These apps run on servers that are external to the mobile device and the mobile cloud apps require the use of the browser on the mobile device in order to display and use the app UI. The data transfer between mobile cloud app and the mobile device is commonly done using JSON-over-HTTP. Mobile cloud apps may not be required to download or install on the mobile devices. Users can view the mobile cloud app in the browser window on the remote device. The Internet is the basic requirement for running the mobile cloud devices. Well, it’s like comparing apples and oranges. Native apps are faster as they use the mobile’s inbuilt processor and memory, while cloud mobile apps use internet connection speed. The mobile cloud apps view the UI through a mobile device browser and therefore has the lower speed. The native app developers are also provided with the ability to play with the notification feature on the screen, but mobile cloud app developers can access a limited amount of mobile device’s native features and information. In the end, it all depends on the requirements. But, if you are looking for the advanced features, mobile cloud apps are better in various ways. If you are looking for better cross-platform compatibility, mobile cloud apps are the better choice. If you need a business app that can use a lot of on-device features, the native apps are the appropriate choice. When security is the concern, native apps are the creators of big risks when the devices are misplaced. Mobile cloud apps data is stored in the mobile cloud instead of the mobile device. Need help with choosing the right platform? Let us help you decide. Talk to our Mobile Application Development experts today! Dev Information Technology Ltd. is a mobile cloud app development company and delivers digital transformation with mobile apps that enable to do business – anytime, anywhere. ← GDPR: Are You Prepared?